Memento is a very light weathered gray/white wood grain laminate with high variance and a beautiful, rustic charm. 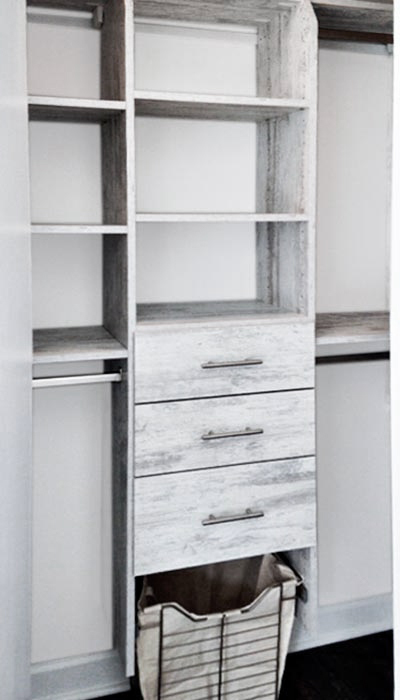 The base tone is off-white with wood grain patterning in streaks of taupe and gray. Although the finish appears distressed, it is relatively smooth to the touch with a lightly embossed grain texture. 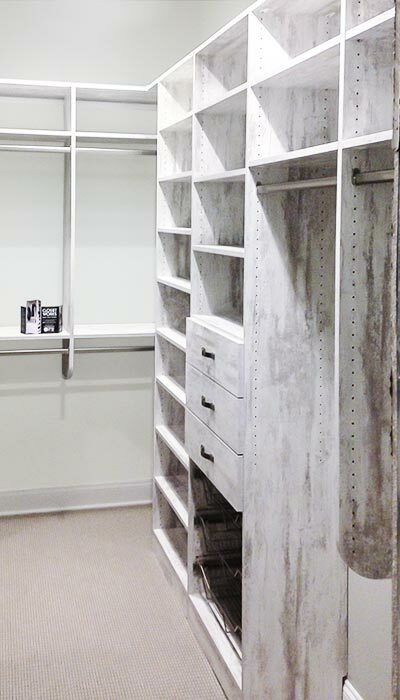 Use Memento alone, or as an exciting accent to a plainer, solid color laminate, like the white and Memento closet shown below.